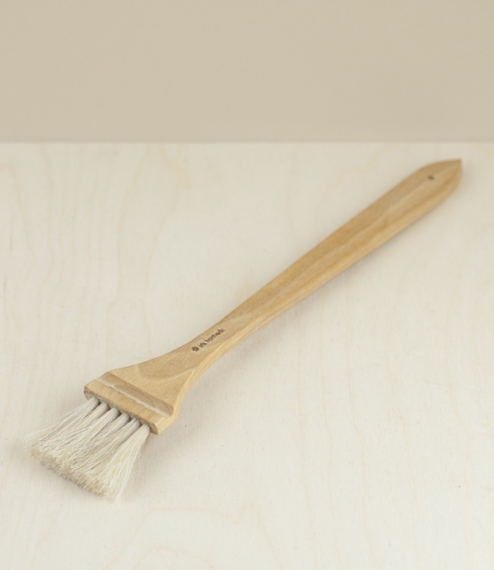 A hand drawn brush golden horsehair stitched at an angle into an oiled boreal birch stock. The long handle allows for the basting in relative comfort over hot barbecue coals, although this works equally well reaching into a hot oven. The Swedish tradition of visually impaired craftsmen finding work in the manufacture of brushes continues today in the form of Iris Hantverk, which employs over 30 such individuals producing some of the world’s most beautiful and high quality brushes. About 36cm total length.